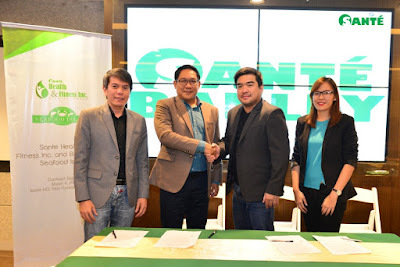 Pasig City—March 18, 2019—Santé Fitness Lab announces today its partnership with Blackbeard’s Seafood Island, conceptualized to serve athletes and fitness enthusiasts of Vermosa Sports Hub with healthy and delicious food options. The Vermosa Sports Hub is located in Imus, Cavite. Founded in 2004, Blackbeard’s Seafood Island is the leading seafood destination of the Philippine islands and currently operates 40 stores nationwide. The company then went on to open an auxiliary store called the ’Biker’s Café,” which caters to a community of bikers and fitness enthusiasts. “We’re happy to partner with Santé Fitness Lab and put up something for the Vermosa community. 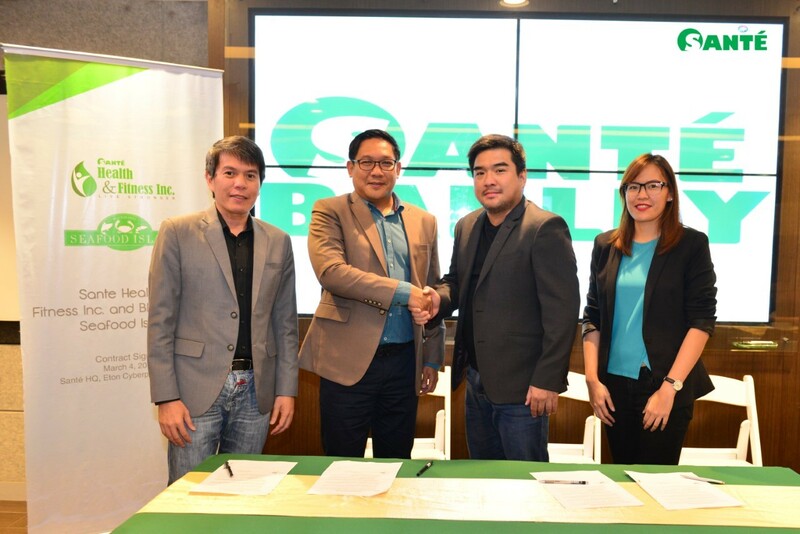 For us, this is not just about doing business but most importantly, our multi-sports café is about building goodwill with our customers, especially when it comes to health and wellness,” said Raymund Magdaluyo, president of The Blackbeard's Seafood Island Group. Santé’s CEO Joey Marcelo said that he and Magdaluyo belong to the same community. He explained that they first met through triathlon and that they’ve always wanted a foot inside the food business. “Our niche is health and wellness and, I wanted to focus on that once I venture into the food business. I was adamant about doing it with Raymund since it’s his area of expertise. So, we’re pleased that we now have the opportunity since Vermosa Sports Hub asked us for a possibility of setting up a restaurant that will not only serve the community in Vermosa but the sports hub, as well,” said Marcelo. To know more about Santé Fitness Lab and other upcoming events, visit their official Facebook page at https://www.facebook.com/santefitnesslab/. Founded in 2007, Santé promotes, produces and distributes premier natural health and wellness products; as well as services, designed to help people live better lives. With Santé Barley as its flagship brand, Santé has dominated the local market with its barley grass – grown and harvested in New Zealand – which is certified organic by BioGro, New Zealand’s largest and best-known certifier for organic produce and products. With the proven health benefits of Santé Barley, Santé has developed a comprehensive selection of everyday barley-based products. Today, Santé has expanded its offerings to include a fitness and rehabilitation center with its Santé Fitness Lab; and an array of natural products that are true to the company's thrust in promoting a healthy lifestyle. Headquartered in the Philippines, Santé has offices worldwide such as New Zealand, Hong Kong, Singapore, UAE, Qatar, Nigeria, and Cyprus.